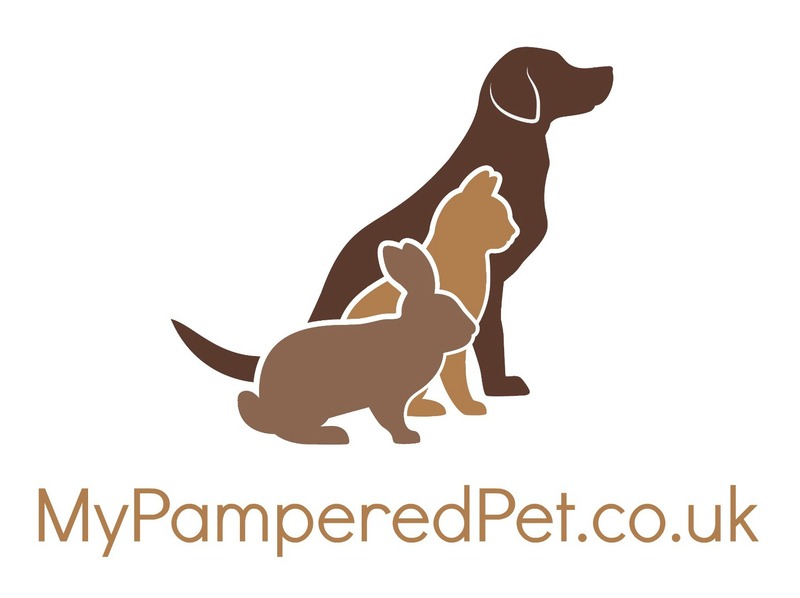 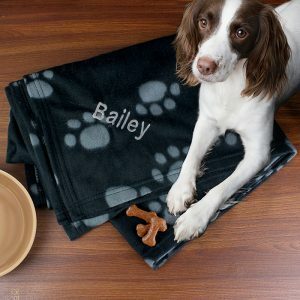 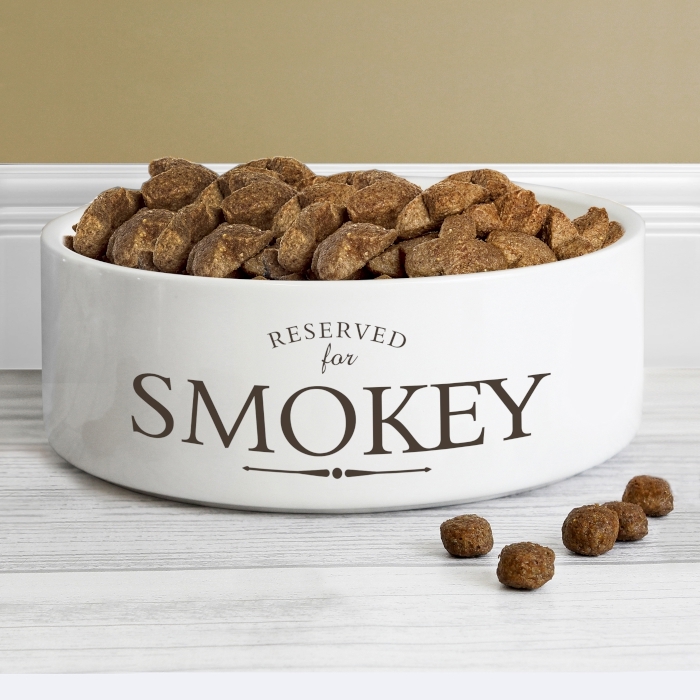 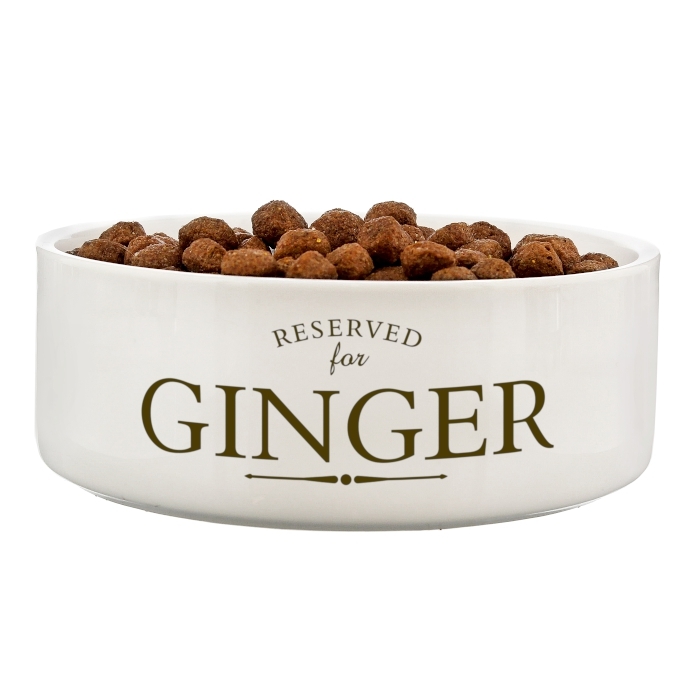 Perfect for any pampered pet, this Personalised 'Reserved For' Bowl features your pets name in a contemporary font. 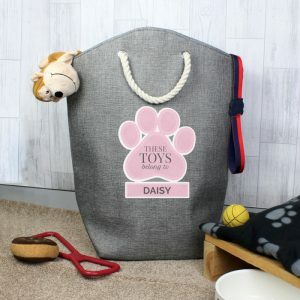 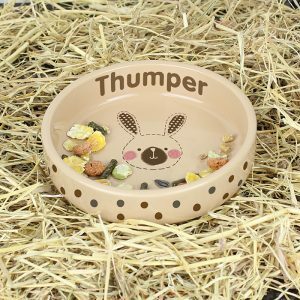 This fun and practical ceramic personalised pet bowl is perfect for a pet's food or water. 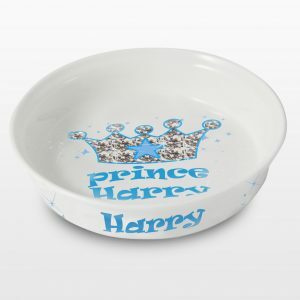 The bowl is 14cm and can be personalised with a name up to 12 characters.